Fans of the newly-revamped Archos range (especially those that have very little cash) will be pleased to hear it looks like two more models are coming for less coin than their Apple counterparts. 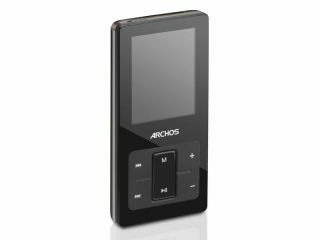 The Archos 2 and 4 have been 'leaked' on Archos fan site ArchosLounge, as well as the former model popping up on Amazon in the US. The Archos 2 looks set to feature an 8GB internal memory with microSD support for some extra storage, a 1.5-inch screen that can show movies and photos as well as tell you what song you're listening to, and have a rear chrome panel, similar to the Internet Media Tablet range. And perhaps the most pleasingly, not only will this 8GB version come in at only £40 (according to current Euro conversion rates) there will also be an as-yet-unpriced 16GB version for you storage junkies. Sadly there's not much info out there on the Archos 4 save the fact it will likely come in 16GB and 32GB flavours, and apparently have a 4-inch screen, so we reckon the price will be bumped up somewhat on this one. Keep an eye on Amazon UK as it's likely this will pop up on there soon and we can all get pre-ordering (if you haven't decided that you need a minimum of a billion GB storage already in your PMP, like most of us media anoraks have).